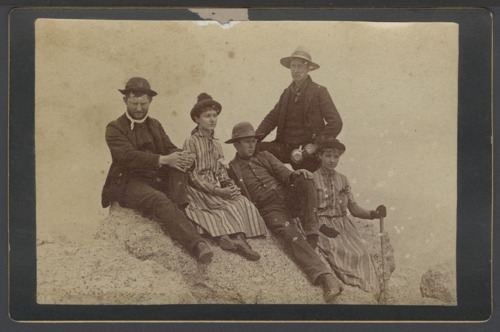 This photograph shows (left to right) a young William Allen White, Helen Sutliffe, Schuyler Brewster, Herbert Hadley and Janice (?) Sutliffe hiking at Long's Peak in Colorado. White later became the editor of the Emporia Gazette.